Antoine loves Antoinette. The printer and his charming salesgirl, who works for a department store on the Champs Elysées, lead a happy well-ordered life. Every day is made up of a host of sweet nothings, spats of jealousy and pocketfuls of dreams. Yet their small world becomes threatened by the loss of a lottery ticket that eventually turns up. Anna uncovers an incident involving a young Mexican woman, Antonieta, while doing research for a book on women's suicides in the XXth century. 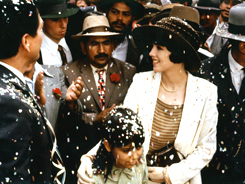 In 1931, in the Notre Dame Cathedral in Paris, Antonieta shot herself through the heart. Anna's fascination for the young woman's fate takes her off to Mexico where she tries to unravel the thread of the strange young woman's eventful life. In a near future, the world order has changed. With ten million unemployed, France is now a poor country. The population totters between revolt and resignation, and finds an outlet in ultra-violent televised combats in which participants are legally doped and no holds are barred. Reda, aka Ares, is a former combatant who ekes out a living as an enforcer for the police. Everything changes when his sister is arrested and he has to do his utmost to save her and her daughters. 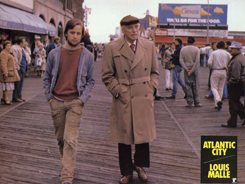 Arsène Lupin dies, leaving two natural sons: François de Vierne and Gérard Dagmar. They don't know each other, but they both start looking for the Poldavian treasure hidden by their father. In order to get his hands on the treasure, Baron Von Krantz kidnaps the Prince of Poldavia. Gérard, who is in love with the prince's sister, sets about pursuing the kidnappers with the help of François and a pretty journalist. Florence Carala and her lover, Julien Tavernier, supervisor of her husband's businesses, have decided to kill him and then simulate a suicide. Julien finds himself stuck into the elevator trying to erase a compromising piece of evidence. Meanwhile, Louis has stolen Julien's car to show off in front of his girlfriend but while driving, he kills two Germans. Julius Caesar's legions have conquered all England, except for a tiny, remote village led by Zebigbosse. Asterix and Obelix come to their English friends' rescue with a barrel of magic potion. However, in a fit of weakness brought on by the bizarre food they have been served, Asterix and Obelix become careless and the barrel is stolen from them. Getting it back will be no picnic ! 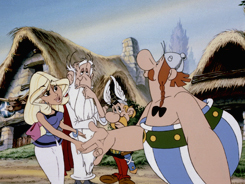 Obelix is madly in love with Falbala, Tragicomix's beautiful sweetheart. However the Romans kidnap the two love-birds with the intention of gifting them to Ceasar during his Triumphant March. In their determination to find the two lovers, Asterix, Obelix, and their faithful dog, Idefix, sign up with the Roman Legion and even rent themselves out as gladiators. 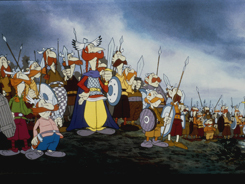 Based on Goscinny and Uderzo's two comic books, "Asterix, the gladiator" and "Asterix, the legionnaire". 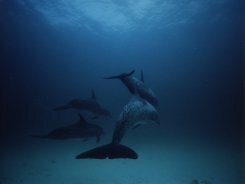 A journey into the depths of the ocean where the camera has snared underwater life in all its guises : such as the flight of giant manta rays, ballet of seals, the mating ceremony of fish, and the voracity of sharks - all to the sound of Eric Serra's music.